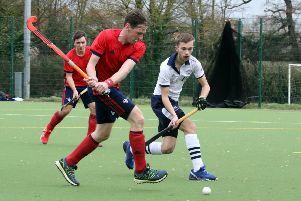 Saturday’s 5-1 thumping at South Premier League play-off rivals London Edwardians ended any lingering hopes of promotion. 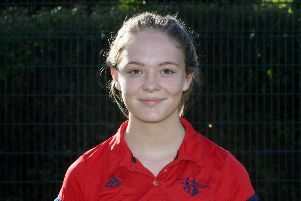 There is still a final division one fixture to go when Banbury travel to Tunbridge Wells this weekend but the club must accept that they will stay in the revamped division for next season. It all started to go wrong in the first minutes when Banbury conceded a penalty corner and Ollie Knight completed a slick move to grab an early lead. That was followed within two minutes by a second goal as Knight converted from close range after a defensive slip. Banbury stabilised but never found their form and conceded another penalty corner for Knight to complete his hat-trick before halftime. Banbury started after the interval with a revised line-up which immediately produced a promising break but when a home defender lifted the ball into George Brooker. The umpire failed to see the offence and Edwardians broke away for Knight to get his fourth goal and extend the lead seemingly to snuff out any Banbury hopes. But the visitors bounced back to make the revised line-up count when Jaz Singh grabbed possession high up the pitch and, after an exchange of passes with Callum White, finished from close range. But it was too little too late and Knight was able get an unlikely fifth goal in the dying minutes to complete the victory. Manager Steve Brooker had to hide his disappointment at the result and said: “We have not managed to achieve promotion this season but we have challenged the best teams in this league and only missed National League status by a narrow margin in our first season after promotion. We need to take the positives from some great performances even if we were not at our best on Saturday.